Truly a unique place and wonderful view of the valley from the top of the Hinterrugg. On top of this, it’s a magic flight from this exit! 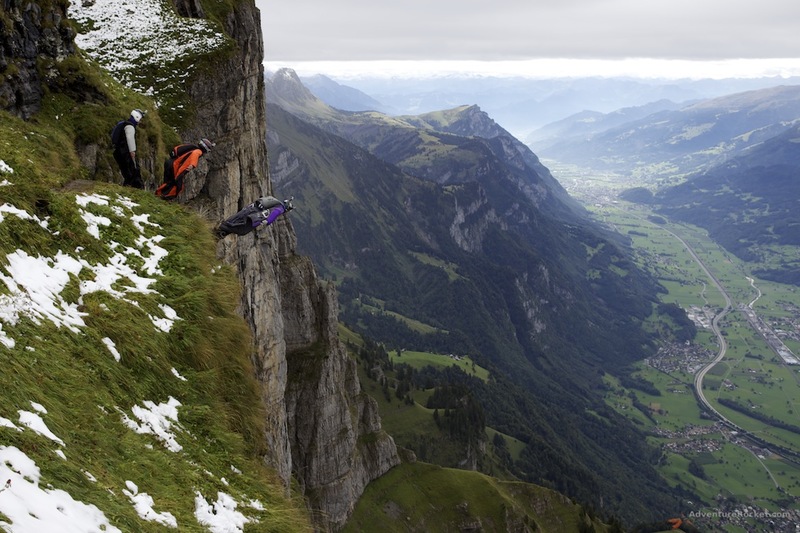 Gleb Vorevodin and friends jumping off the Hinterrugg exit above Walenstadt – what a breathtaking place. Also check out my image of Robin and Nikolaj – followed them with my camera during an early spring jump in Lauterbrunnen.